We’ve all heard the saying “presentation is everything”. Often heard and often disregarded. Did you know that 52% of consumers will leave a store because how poorly it has been maintained or it’s overall appearance? This number doesn’t surprise me. Actually that’s not true. I’m surprised how low that number is. In my previous life of working in retail, visual merchandising was an integral part of my job. Most retailers have their own visual merchandising department. That’s how important it is. Think about the last time you were shopping, be it a grocery store or a car lot to retail. You soon realize everything is intentional. Nothing is randomly placed. It’s all about making a creating a great in-store experience for the customer. It is what retailers will call the silent salesperson. Its purpose is to attract, engage and motivate the customer towards making a purchase– to generate sales. The one area this mentality is lacking is selling homes. This is the one product that most people expect to sell, as is, for the most amount of money. Home staging is still relatively new– and in many regions, not fully understood or appreciated. The phrase was coined and implemented by Barb Schwarz in the early 70’s, when she noticed her real estate agents needed a way to help sell their listings. Assuming that most people want to sell their home quickly and maximize the return on what is typically their greatest investment,– I have yet to come across a seller willing to have their home sit on the market for months, losing money in the process,- home staging has the same purpose as visual merchandising. Considering that in the past selling your home meant little more that posting a For Sale sign in the yard, it’s not surprising that home staging is still met with much resistance. We can no longer expect to do the bare minimum and expect the offers to come pouring in. Much education is still necessary. 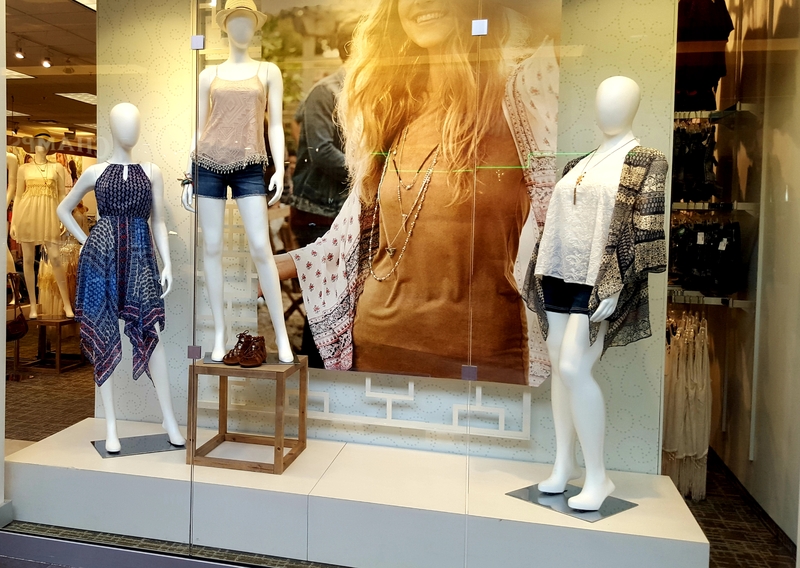 To help sellers to better appreciate the value of staging, I’ve found it beneficial to draw upon my experience in visual merchandising—what it is and why it’s so important. Home staging is showcasing. It is a marketing strategy. It’s about preparing a home for sale that highlights its best features. Home staging is not decorating. It’s about allowing buyers to envision themselves living there. Visual merchandising is strategic. They are packaging a product to sell. When you are selling your home, you are selling a product and you need to package that product. Buyers are buying their new home, not your old home. What was it that sold you on your current home? What features did your home have that made you say “this is my home”? Quite often those features are what others are looking for as well. Considering that 90% of buyers are unable to envision beyond what they are presented with, you need to highlight these features. This means that only 1 out of every 10 home buyers can see the potential. Your potential market has just been significantly reduced. These are not good odds, thereby likely increasing the amount of time that your home spends on the market. Window displays are given particular priority. They are meticulously curated to draw the eye and appeal to the emotion of shoppers. The intent is to lure the customer into their store. Think of it as your home’s curb appeal. Just as a beautiful window display can draw in a customer, so can a poorly maintained home exterior send a buyer running. A first impression is a lasting impression. Cliché, but true. A potential buyer has made a judgment on a home within seconds of their visit. They will then spend the remainder of their visit justifying their initial impression. You only have one chance to make a good first impression. This is true in all aspects of life, from job interviews, to restaurants, to retail stores, to home buying. Have you ever been in a store that looked as though a stampede had been through it? What was your first impression? How long were you in there? Did it make you want to buy anything? Chances are you were eager to get out as soon as possible. A sloppy mess does not a pleasant shopping experience make. Selling your home is no different. No amount of coercion from a real estate agent is going to convince a potential buyer to make an offer on a home if it hasn’t been properly maintained or prepared for sale. The intent is the same for retailers or home sellers—to create a sense of desire. The fundamental elements are the same. Colour, for example, is powerful. A black and white display with a pop of colour is bound to attract attention. On the flip side – what is the likelihood that you will make an offer on a 1970’s time stamped home with harvest gold and avocado green? An ideal layout navigates the direction of the customer and to keep them moving. Likewise, showcasing your home involves a proper furniture layout that doesn’t impede the buyer from moving freely throughout the home. Who doesn’t want more living space? Buyers are always looking for more room and they’ll pay a premium for it. The first rule of thumb is to declutter. Less is more. A buyer will never notice what’s missing from a room, but they will notice what doesn’t fit. At the same time, each room needs to be showcased as its intended space. This means no cribs in the living room and no sewing machines in the dining room. Ultimately, showcasing or merchandising is about appealing to the emotion of the buyer. Why? Because people buy based on emotion, and not on logic. Once that emotional impact has been made, they then justify their purchase on reasons that sound good. Buyers won’t purchase a home just because it suits their needs, but because it has appealed to them on an emotional level. The better your home looks, the more money you will make. Home staging sells an experience, a lifestyle. Home staging is your home’s silent salesperson.